“What Legacy for David Henry Driver?,” by Janis Minor Forté, Illinois State Genealogical Society Quarterly, Winter 2011. “Santa Letters Bring Genealogical Gifts,” by J. Mark Lowe, Crossroads, Winter 2011. 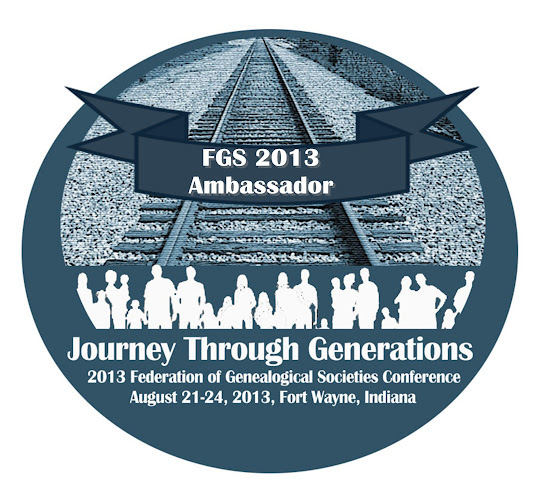 Julie, thanks for mentioning my blog post about Ancestry images and social media. Its been generating a lot of discussion! You're welcome, Heather. It was a good post and very timely for me...I checked out Pinterest a few weeks ago and wondered about some of these issues. Thanks for mentioning my blog! Everyone has been so welcoming and I really appreciate it! !